Some of the defining images of California include mountains: from the iconic alpine photographs of Ansell Adams to the folklore images of forty-niners lugging golden ore, the Sierras are magnificent and form the backbone and watershed of our state. The mountains of Southern California are far less renowned, yet are beautiful and substantial in their own right. Throughout my life I have been drawn to mountains, seeking the solace and raw environment they provide. At a tender age, my father took me camping and taught me to appreciate the quiet, subtle beauty of the wilderness. Growing up near Boston, that place was the White Mountains of northern New Hampshire. I am certain that these early experiences shaped my interest in geology, my chosen field of study, and were a reason, at least in part, why I moved west. It is also why I sought out these places when I moved to San Diego, focusing first on what was available within easy driving distance of my new home. Mt. 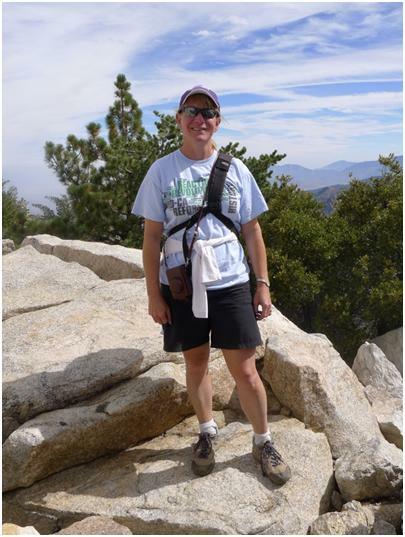 San Jacinto is Southern California’s second highest peak. 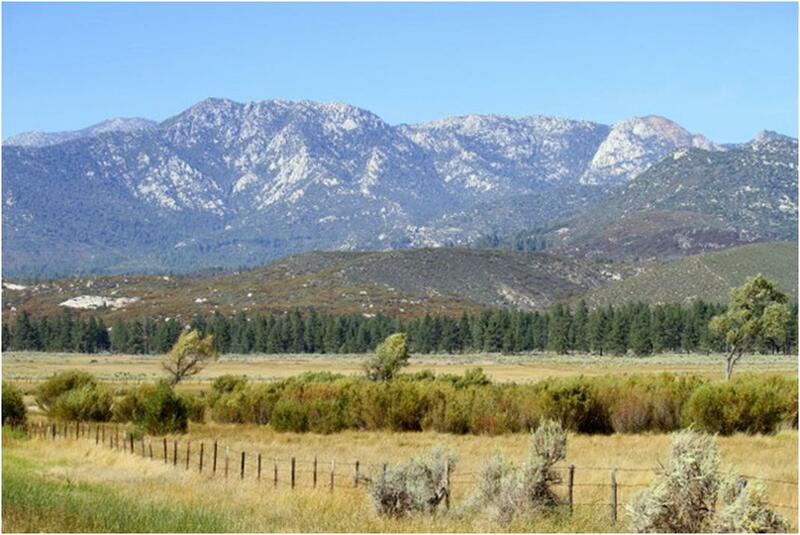 Rising to 10,834 feet, the massif crowns the Temecula Valley and drops abruptly on the east to Palm Springs. I have always enjoyed hiking here, and even climbed to its summit on my 42nd birthday. So one weekend last October, when Michael and Gwennie went back east to visit colleges, I decided to pack up and head to one of my favorite places – Mt. San Jacinto. Being alone, I set up camp at a public campsite in Mt. San Jacinto State Park, near the center of the mountain town of Idyllwild (located, conveniently, within walking distance of grocery stores and a café for morning coffee). On this trip, instead of climbing San Jacinto peak, I decided to bag one of the side peaks named Tahquitz Peak (8,750 feet). 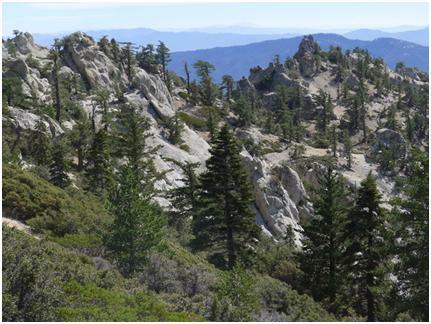 Starting from the town of Idyllwild, this hike is still significant, with about 2,300 vertical feet to ascend. 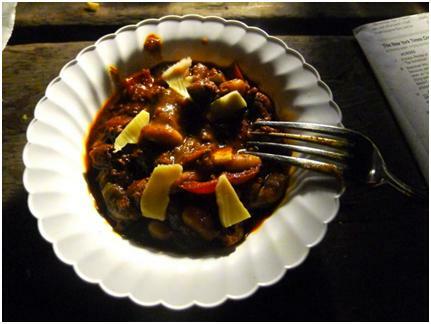 So, working by my lantern and cooking on a butane burner, I cooked up some spicy beef and white bean chili that packed a punch that would have tested even old Tahquitz’s manhood. Enjoy! Build the First Layer. Cook the white onion in the olive oil until lightly browned. Brown the Beef. 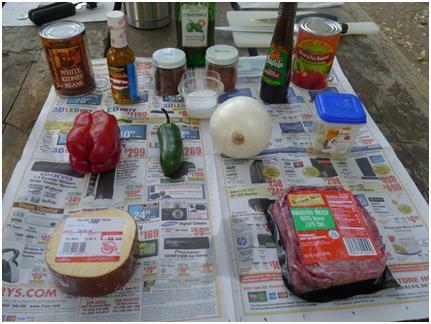 Add the ground beef, jalapeno pepper and red pepper and cook until the peppers are soft and the beef is cooked through. Cook the Chili. Add the beans, tomatoes, and spices, and cook until the flavors are melded well, about 20 minutes. Take off the heat and serve with tortillas, placing grated gouda on top of each soft corn taco.